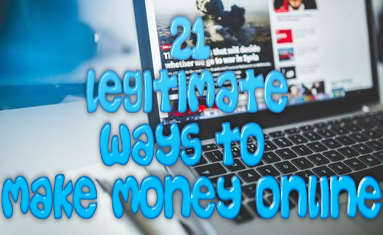 When people begin to work online as an affiliate marketer, they never really truly understand what it is that are actually getting themselves into. Most people don’t really understand what it takes to become a successful affiliate marketer. It is for this reason and this reason alone that up to 90% of new affiliate marketers fail and most of them don’t even make a dime online. Hopefully with this beginner’s guide I will put an end to that. 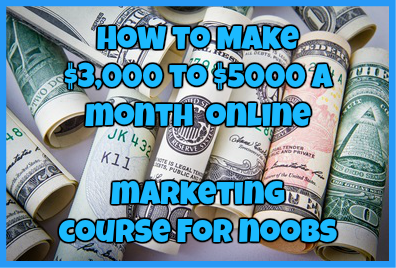 This is the last day of your online marketing course and I wanted to give you an idea of the step by step process to making your own money making site and become one of the few affiliate marketers online who are successful. Remember, most people who get into this line of business really don’t understand what they are getting themselves into. The truth is a lot of people are brought into affiliate marketing simply because they get hyped about the ton of cash they can potentially make. Just because there are a few people out there who are making money affiliate marketing, it does not me that this is the smartest business choice for everyone. Here is the truth about affiliate marketing: You WILL NOT make thousands of dollars overnight. However, you can easily make a couple of thousand in a few months. But the first step to doing this is to create goals for yourself…realistic goals. Instead of focusing on all of the money you can make, why not create goals that don’t have anything with money. For example, create goals such as getting ten thousand visitors to your website and offer in a month or getting ten thousand likes on your Facebook page. Not only are these goals realistic, but they are completely doable. Create these goals and strive to reach them. The money will follow soon after. Now, when it comes to choosing the right niche for you, you should ask yourself a couple of questions before jumping right into it. Are people looking for information in your niche? Can you provide answers to this information in your niche? When you do a search in Google for this information, do you see a variety of advertisements in Google or Facebook related to your niche? If you do, do you think you can beat the competition? Do you have enough knowledge in regards to this niche? When you start looking for the niche you want to target, I always recommend that you stick to your own interests. Not only will this help you especially once you begin creating content, but it will also help to make your work more enjoyable. Remember, we are leaning towards building your own money making websites and to do this you need to have hosting for your website. I recommend building these websites simply because it make affiliate marketing a whole lot easier and can help you to become more successful as a niche marketer. There are several places to get hosting such as NameCheap or HostGator. However, when you sign up for a free account at Wealthy Affiliate, you have access to their hosting as well. What is more is that if you have a premium membership to Wealthy Affiliate, you can host up to 25 premier domains using their servers. That is what I currently use for hosting my own money making sites and that is the site that I highly recommend the most. Now, this is something that I know a lot of people will think is much harder than it actually is. To be honest building a website is as easy as pointing and clicking. Don’t believe me? Check out how to build a website in under 5 minutes using the Website Builder in Wealthy Affiliate by clicking here. Would you use this product yourself? Is this product going to match the future content you place on your site? Will this product please your feature visitors? Will your visitors receive good support if they purchase it? It is easy to find products related to your niche. They are literally everywhere. Just look on sites such as Google, Clickbank or Amazon. The moment you find the products that you want to promote, you need to make sure that you link them correctly in your website. What has worked for me in the past and continues to work for me now is placing affiliate links throughout your content. However, make sure that you don’t place your links in pieces of content that have nothing to do with it. If there is anything that is important when it comes to niche marketing, content is king! Without content you WILL NOT make money online. The key to success is to write content that not only helps your visitors, but leaves them with more information than they previously had. The best content to write in my opinion are reviews as they will give insightful information about other products and which you can use to point your visitors to your better alternative affiliate products. When it comes to the visitors that come to your website, you want to make sure that you treat every single one like a potential customer. Being as such you want to take every opportunity that you can to grab their information so you can offer them valuable information as well as promote your affiliate product to them longer down the road. The best way to do this is to start an email list and offer them a free product that will give them some more helpful information. Do this and I guarantee people will sign up for your email list in waves. When it comes to promoting your affiliate products you want to make sure that you are promoting it to the right people. The worst thing that you can do is promote dog food to a person who is looking for electronics. To do this just make sure that you are sending high quality and targeted traffic to your website by using your content. Remember when I said that content is king? That is true and the more content you have on your site, the more successful you will be. Trust me, you can never have enough content. Offer free products on your site. Guest post on somebody’s else’s website to gain more visitors to your website. Share your content via social media platforms. Send email updates to your visitors letting them know when you add fresh content to your website. Most of the affiliate marketers online today who fail are the ones who give up to early. This is something I never want you to do. If you have found an ad that is not converting, tweak that ad and add more value to it. The moment you have a post or an ad that is converting, promote the hell out of it. Just remember, never give up and keep pushing even when you feel like giving up. If I had given up early, I would have gotten this far in my online career. The only way you are going to succeed is by having those who can help you at any time and push you to succeed. The best way to do this is to join an online community. You need people who will help you along the way, offer advice and visit your website on a regular basis to give you helpful insight on how to improve it. That is why I recommend joining Wealthy Affiliate. WA is a community surrounded by like-minded people who will push you to succeed even when you feel like giving up. Who knows? You may be able to find people who are marketing in the same interest as you and can even offer some advice that will help you succeed. Step Thirteen: Repeat, Repeat, Repeat! Once you have a successful website on your hands, make another one! You can never have enough websites and remember, the more you build the more money you will make.